Scotland has quickly become one of my favourite countries to visit- delicious food, stunning views and beautiful buildings are a few of the many reasons why I love it. I still haven’t explored much of it, but have got lots of plans to see more of it in the next few years; we’re wanting to plan a road trip to really make the most of it. Last year R and I had a long weekend in Edinburgh, which was so lovely. This year we had some annual leave and ended up planning a last minute trip back, splitting our time between Edinburgh and Glasgow. On the Wednesday of our trip we packed up some snacks and took the train over to Loch Lomond, which ended up being one of the highlights of the week. We took the train to Balloch from Glasgow, which was really easy and meant we got to see a bit more of Scotland through the windows. The day started out rather grey and misty, but the cloud quickly cleared and it ended up being fairly mild and warm. We took one of the routes around the loch and ended up seeing lots of dogs out too, which was a great bonus. A golden haired spaniel was a particular favourite as he was so cute and friendly! 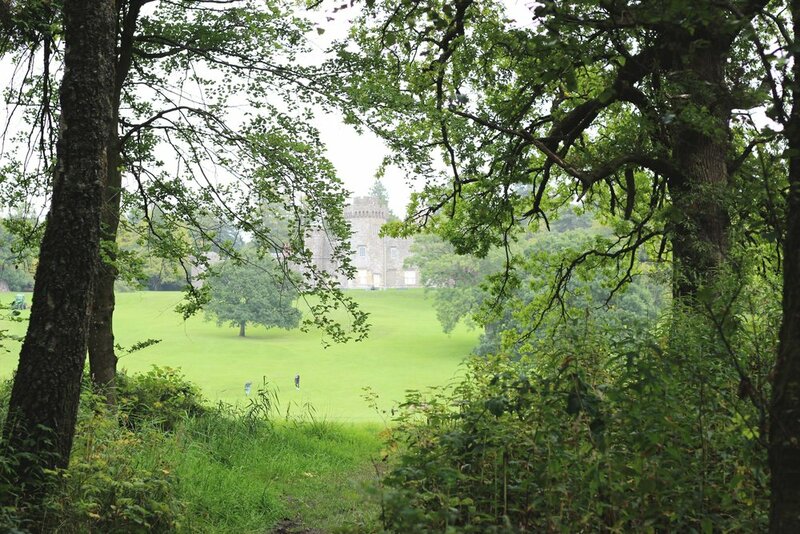 We took a detour to Balloch Castle and the grounds around it, which had great views over to the other side of the loch. We also discovered a walled garden, which gave me lots of ideas for plants I want to grow in our garden next year. Unfortunately, we didn’t get to walk as far as we would have liked as I was still recovering from being ill at the start of the holiday. It was such a restful and calming day which did much to rejuvenate both R and myself after a busy few months of work. We had such a lovely day, and can’t wait to plan our next trip back. Delicious cake and rhubarb juice from Lovecrumbs. The most amazing French toast and open sandwiches from Urban Angel. They were both so delicious I’m drooling thinking about them!